This page provides a brief description of the MCCU and the menu buttons on the left take you to details. MCCU Counties. This page contains a directory of county secretaries and counties' delegates to the MCCU. MCCU Officers. The page lists contact details for members of the MCCU Board of Management, controllers and other appointed officials. MCCU Masters. This page lists Midlands players who have been awarded international or national recognition for their playing strength. Constitution. The MCCU constitution sets out the mechanisms for making the MCCU's decisions. The roles of members of the Board, their responsibilities and powers within the MCCU are also described. Admin Papers. On this page there are links to the rules for MCCU competitions and minutes and papers considered by recent general meetings. ECForum. This page is The English Chess Forum and external to the MCCU site. It opens in a new window. The MCCU 'Special Topic' within the ECForum was set up by Carl, sysadmin of the ECForum, at the MCCU webmaster's request. The MCCU special topic is intended to facilitate the exchange of views about MCCU matters. County chess associations mostly pre-date the chess unions. The chess unions were formed to promote competition between players living at greater distances from each other. This enables élite players to hone their play against strong opponents and for all players to have a more varied range of opponents that if they played only in their home counties. The members of the MCCU are therefore the County Chess Associations and the only individual members of the MCCU are its officers and county delegates. This means that the people who determine MCCU chess policy are delegates elected or appointed by member organisations. In former times Presidents and Vice Presidents were originally appointed because of their social prestige and their financial support for chess and were not necessarily players themselves. Today the MCCU elects Presidents and Vice Presidents as an honour to recognise their contribution to chess development in the Midlands. 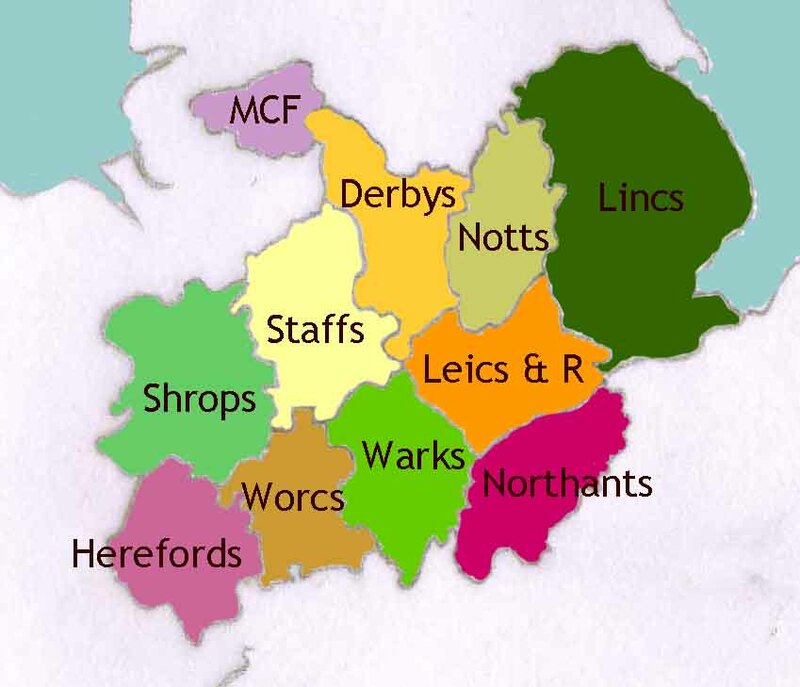 Eleven "chess counties" - Derbyshire, Manchester Chess Federation (playing as Greater Manchester), Herefordshire, Leicestershire & Rutland, Lincolnshire, Northamptonshire, Nottinghamshire, Shropshire, Staffordshire, Warwickshire, and Worcestershire - currently form the MCCU. The counties have agreed annual funds based on the level of chess activity in each county to pay MCCU's expenses. The "chess counties" are based on local government boundaries existing in 1974. Players are eligible to play for a county by any one of five criteria: county of birth, current residence, previous residence for a period of 5 years, membership of a club in a county chess association, or current attendance as student or teacher at a school, college or university. Use the "Chess Counties" button on the left hand side menu to see names of county delegates and county secretaries. MCCU Policy is agreed by delegates of county associations at an annual general meeting held in June. County delegates elect a Board of Directors who are responsible for the day to day running of the MCCU under the leadership of the Chief Executive. All delegates, officers and members of the Board of Directors are volunteers. For a copy of the MCCU constitution, please use the "Constitution" button on the left hand side menu. Minutes of recent meetings and papers for discussion by delegates are linked from the "Admin Papers" button. The MCCU was founded in Birmingham in 1897 and has included different chess counties than those forming the MCCU today. Oxfordshire and Huntigdonshire & Peterborough have been members in the past while Manchester joined in the 1970s. Julie Johnson has published some of the early history of the union in articles in the "Middle Game" an occasional newsletter published by the MCCU.